If you're grateful that there are still a few reasonable Republicans like Sens. Lindsey Graham and Olympia Snowe around to combat the GOP's cynical embrace of economic know-nothingism, you might want to take a closer look. [W]e have witnessed not only a large growth in debt over the past decade but a massive acceleration of debt most recently, with $2 trillion in new debt added just in the last two years. Clearly, spending is the problem, so why would more taxes be the solution? 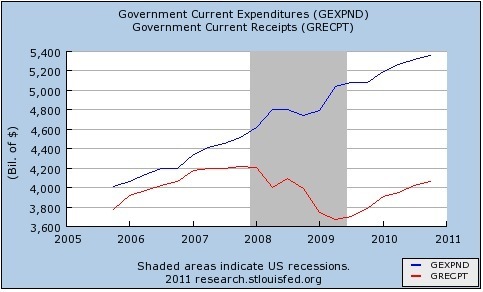 Clearly, "spending is the problem" is ideology, not analysis. If Olympia Snowe had supported a significantly larger stimulus package in 2009, the economy might not be in such lousy shape, and millions more Americans might have jobs. And now Snowe is peddling the same falsehoods as the rest of her party, in support of the same shortsighted and cruel austerity measures that have kept the economy weak. If she and Graham and other so-called reasonable Republicans are going to behave like fact-free Tea Partiers, that's how people should see them.